Pipes, plugs and sensors are not included. The best parts For Your Cars. Unit 1 Clapgate. All requests will be processed after we have inspected and verified the condition of the Products. German Spare Parts Ltd.
PART NUMBER - 32069666. GENUINE SEAT IBIZA 1.2 TSI BRAKE MASTER CYLINDER. MAY BE FITTED TO SEAT IBIZA 1.2 TSI MODEL YEARS. Parts have been fully tested and include a 3 MONTH WARRANTY. VW / Audi / Skoda / Seat Used Spare Parts Specialist. We will always help you to have a 100% positive happy buying experience. Includes Engines, Gearboxes and Large Panels etc. PART NUMBER- 03F105255A. GENUINE SEAT IBIZA 1.2 TSI PULLEY. MAY BE FITTED TO SEAT IBIZA 1.2 TSI MODEL YEARS. Parts have been fully tested and include a 3 MONTH WARRANTY. VW / Audi / Skoda / Seat Used Spare Parts Specialist. We will always help you to have a 100% positive happy buying experience. (Taken from: 2012 SEAT IBIZA MK5 1.4 ENGINE CGG, RED LS3H, 5 SPEED GEARBOX, 5 DOOR, BREAKING). YOU WILL FIND MORE INFORMATION ABOVE. All parts are used, fully tested and are in fully working order, unless stated in the title. Seat Ibiza S 6J MK4 (2012). Ibiza S 6J MK4. Genuine Brake Master Cylinder. Used Car Parts Direct - Wolverhampton WV1. Manufacturer Part Number - 6R2611601. Other Manufacturer Part Numbers -. LB9A - CANDY WHITE. 2009-2017 VW POLO BRAKE SERVO WITH MASTER CYLINDER COMPLETE. Donor Vehicle = 59,016 miles 60 plate Volkswagen Polo (6R) 1.2 Petrol, Manual, 5 Doors, Hatchback. This part has been fully tested and inspected, it’s in fully working good used condition, and it is exactly as described in all the photos. We are breaking a 2015 Seat Ibiza Toca 6J MK4 (Facelift 1ST). 1.4 (1390cc) Petrol 84.5 BHP 5 Door Hatchback 5 Speed Manual RHD. Shelf location: BRAKE SERVO. Paint Code: LB9A. Paint Colour: Blanco Candy White. PART NUMBER: 6C2614105. SKODA RAPID FABIA SEAT IBIZA VW POLO. BRAKE SERVO. GENUINE 2012 - 2017. SEE PICTURES. We are much cheaper than the MAIN DEALERS. Air Bag Complete Set. FOR ALL YOU VAG PARTS. Model : IBIZA. Fuel type : Petrol. Part Type : Brake Servo. Year : 2014. Make : SEAT. Body Style : Hatchback. Part Number Our Part Reference : 0001475643. Part Number: 6R2612041R. We are breaking a 2015 Seat Ibiza Toca 6J MK4 (Facelift 1ST). 1.4 (1390cc) Petrol 84.5 BHP 5 Door Hatchback 5 Speed Manual RHD. Paint Colour: Blanco Candy White. Shelf location: 4A10. 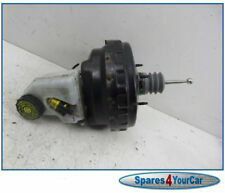 6J - 1.6 Petrol - Manaul Part number 6R2614105A - In good condition. Brake Servo. This part was removed from a Right Hand Drive Vehicle. Compatibility is a guide only. Your item will need to be signed for. CAY CAYC CFF CFFB BRAKE SERVO & BRAKE MASTER CYLINDER. GENUINE AUDI VW SKODA SEAT 2009-2015 2.0 TDI 1.6 TDI DIESEL. GLASS AND BODY PANELS. ALL MAJOR CREDIT AND DEBIT CARDS ACCEPTED. 6R2612041R 6R0612041E. Donor Vehicle = 59,016 miles 60 plate Volkswagen Polo (6R) 1.2 CGPB Petrol, Manual, 5 Doors, Hatchback. 2009-2014 VW POLO 1.2 BRAKE SERVO VACUUM PIPE. This part has been fully tested and inspected, it’s in fully working good used condition, and it is exactly as described in all the photos. PART: 2014 SEAT Ibiza MK1 FL 1.4 Hatchback ABS Pump Modulator PART NUMBER: 6R0907379BH WARRANTY (PARTS ONLY): 3 MONTHS – FREE 6 MONTHS – AN ADDITIONAL 10% OF BUY IT NOW PRICE 12 MONTHS – AN ADDITIONAL 20% OF BUY IT NOW PRICE NO WARRANTY INCLUDED ON CORE UNITS (ENGINES & GEARBOXES) WE DO NOT OFFER EXTENDED WARRANTIES ON PARTS THAT HAVE BEEN ACCEPTED AS A BEST OFFER FAILURE TO SUPPLY ANY EXCHANGE ENGINES OR GEARBOXES WILL INVALIDATE YOUR WARRANTY WE DO NOT COVER ANY LABOUR COSTS EXCHANGES: ENGINES, GEARBOXES & DPFs/CATs ARE SOLD ON AN EXCHANGE BASIS – PLEASE MESSAGE US THROUGH EBAY AND WE WILL COLLECT THE CORE UNIT FREE OF CHARGE RETURNS: ALL RETURNS MUST BE PROCESSED THROUGH EBAY IF YOU WOULD LIKE TO REQUEST A RETURN: 1. FIND OUR ITEM IN YOUR PURCHASE HISTORY 2. Engines: Only the Engine block itself is covered by the warranty, ancillaries are not tested however the engines are only removed from running cars. NO EXCEPTION TO THIS RULE. Part:Brake Servo. This Brake Servo was removed from a2012 car and has been fully inspected. SEAT IBIZA ESTATE 1.4 PETROL 2012. BRAKE MASTER CYLINDER AND SERVO. All parts are stamped & removal of the marks will invalidate your warranty. In the event that a part is supplied and proven to be incorrect or faulty, KENT AUTOPARTS must be notified within 48 hours. Details : SEAT IBIZA TDI CR SPORT Brake Servo Mk4 (6J)IBIZA 2010. Model : IBIZA. Part Type : Brake Servo. Fuel type : Diesel. Make : SEAT. Year : 2010. Body Style : Hatchback. Part Number . IBIZA 2008 -2017 Mk4 (6J) 1.2/1.4/1.6/2.0 Diesel Models. SEAT IBIZA Brake Master Cylinder. 2011 SEAT IBIZA which we are dismantling. The Part imaged and described is th eactual part you will recieve. Item Specifics:2008-2017 - 1.2 PETROL - BRAKE SERVO & MASTER CYLINDER - WITH ABS - 2 4 PIN PLUG. Part:Brake Servo. This Brake Servo was removed from a2015 car and has been fully inspected. Ate 6R2614105E;. SEAT IBIZA Brake Servo. 2011 SEAT IBIZA which we are dismantling. Trim Ibiza ST Style. The Part imaged and described is th eactual part you will recieve. 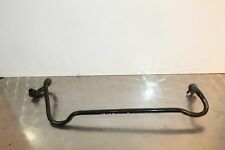 This actual part was removed from a.
IBIZA 2008 -2017 Mk4 (6J) With ESP. 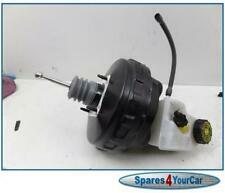 Item Specifics:2008-2017 - MK4 - 1.4 PETROL - BRAKE SERVO & MASTER CYLINDER - WITH ABS - 4 PIN PLUG. Part:Brake Servo. This Brake Servo was removed from a2014 car and has been fully inspected. Seat Ibiza. All gearboxes must be filled with new oil, to the correct level upon installation. This part has be been removed from. Northern and Southern Ireland. Highlands and Islands. England, Wales, Scotland (excluding Highlands and Islands). SEAT IBIZA 1.6 PETROL 2010. BRAKE MASTER CYLINDER AND SERVO. All parts are stamped & removal of the marks will invalidate your warranty. In the event that a part is supplied and proven to be incorrect or faulty, KENT AUTOPARTS must be notified within 48 hours. Seat Ibiza Toca. All gearboxes must be filled with new oil, to the correct level upon installation. This part has be been removed from. Northern and Southern Ireland. Highlands and Islands. England, Wales, Scotland (excluding Highlands and Islands). If you can not find the version you need, we will endeavor to obtain it. Nous pouvons le verifier. Spain: If you need to know if this piece is valid for your vehicle, you can send US the VIN number of your vehicle. Seat Ibiza IV Sports Coupe 6J1 (2008-2018). Seat Ibiza IV ST 6J8 (2010-2018). Seat Ibiza IV ST 6J8, 6P8 (2015-2018). Seat Toledo III 5 p 2 (2004-2009). Seat Leon 1P1 (2005-2012). Seat Ibiza IV Sports Coupe 6J1 1.2 TDI 2010/05-2015/12 1199 CC, 55 KW, 75 HP. Equivalent Part Numbers: PIERBURG: 7.02588.04.0, AUDI: 03C 906 283 A, 03C 906 283 B, SEAT: 03C 906 283 A, 03C 906 283 B, SKODA: 03C 906 283 A, 03C 906 283 B, VEMO: V10-63-0113, VW: 03C 906 283 A, 03C 906 283 B, WILMINK GROUP: WG1025953. MPN 6R1614105L. Product range: Brakes/brake booster. Being the parts used may have slight signs of wear and tear. Engine code (located at point P5 of the booklet): CGG. Year: 2012. If indicated, what works here were from unofficial catalogue. Seat Ibiza 6J brake booster of Hauprbremszylinder 6R1614105C. Seat Ibiza 6J. Seat Ibiza 6L. Installation position. Audi A3 8L brake booster Hauptbremszylinde. VW Phaeton 3D brake booster 3D1612105B Hau. Removed from: SEAT IBIZA 2013 1.2 PETROL 5 MANUAL 5 DOOR HATCHBACK. BRAKE SERVO BOOSTER. Both parties agree to submit to the exclusive jurisdiction of the courts located in the Republic of Ireland. refers to the cylinder head & block and the components which make these up (i.e. pistons, cam shafts, con rods, etc.). MPN 6R1614105G. Product range: Brakes/brake booster. Being the parts used may have slight signs of wear and tear. Engine code (located at point P5 of the booklet): CFWA. Year: 2011. Being the parts used may have slight signs of wear and tear. Engine code (located at point P5 of the booklet): BZG. If indicated, what works here were from unofficial catalogue. Product code: 95593. Fit many vw polo and seat ibiza from 2008 to 2016. Seat Ibiza 6J MK4 (2010). Ibiza 6J MK4. Genuine Brake Master Cylinder. Used Car Parts Direct - Wolverhampton WV1. Manufacturer Part Number - 6R2611601. Other Manufacturer Part Numbers -. LB9A - CANDY WHITE.